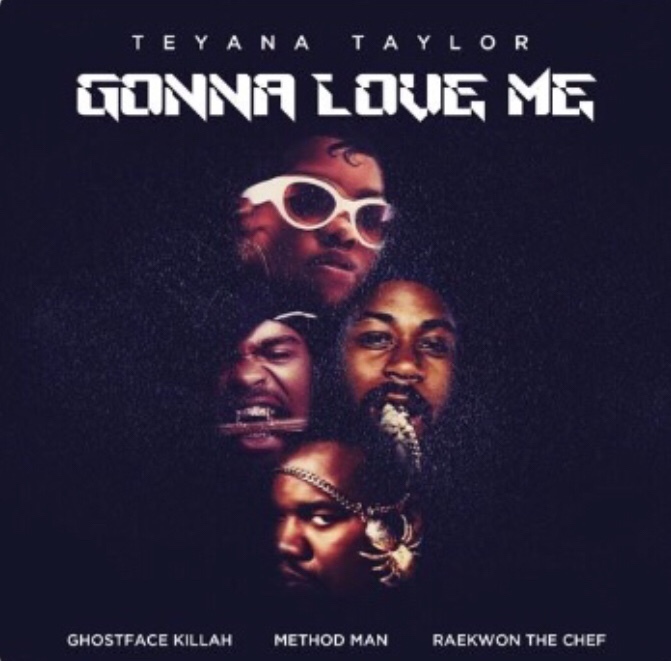 Teyana Taylor – Gonna Love Me Ft. Ghostface Killah, Method Man, Raekwon (Remix). Teyana Taylor releases Gonna Love Me remix. Teyana Taylor’s “Gonna Love Me” Wu-Mix was announced via Twitter. Teyana Taylor wasn’t exactly clear as to how many members would congregate on the alleged Wu record. There were at least a few hopeful fans holding out for an 8-man posse cut + Teyana, but that would hardly boost productivity. Teyana chose three of Wu’s very best in cameo spots: the legendary Ghostface Killah, Method Man, and Raekwon. The smooth backing track reminds you of an old Ghostface slow cooker à la “All That I Got Is You.” During Teyana’s introductory part, Ghostface chimes in with complimentary “true” adlibs to give the K.T.S.E. remix an air of NY authenticity. Listen to Teyana’s Wu-Mix of “Gonna Love Me,” you won’t be disappointed.